Green cleaning is the holistic approach to caring for a building. It’s a concept that focuses on creating the safest, healthiest and best performing indoor environment meeting the specific needs of building owners, managers and occupants. At Bio Janitorial our cleaning process has many elements which, when combined, produce an outstanding result and a long-lasting relationship with our clients. Bio Janitorial Service has experienced consistent, steady growth since its inception. We have positioned the business for further growth by becoming an industry leader in the movement toward “Green Cleaning” and improved indoor environmental quality. Welcome to Bio Janitorial Service, inc.
Bio Janitorial Service, Inc. (Bio) is a minority owned business enterprise founded in 1990 by Mr. Oliver Ibeh. Bio’s Corporate Headquarter is located at 6630 North 47th Avenue Suite 4, Glendale, AZ 85301. Our Firm is recognized as a leading innovator in its integrated approach to contract building maintenance and operation services. Bio Janitorial Service, Inc. provides custodial and other facility related support services in Arizona and other States. We develop customized janitorial and other facility support services packages with multiple capabilities to provide high quality cleaning for commercial, industrial, high security facilities, manufacturing plants, medical and school locations, thus Bio’s growth has been supported by long-term clients, who have appreciated direct, personalized attention and responsiveness of Bio’s management, supervision and service personnel. 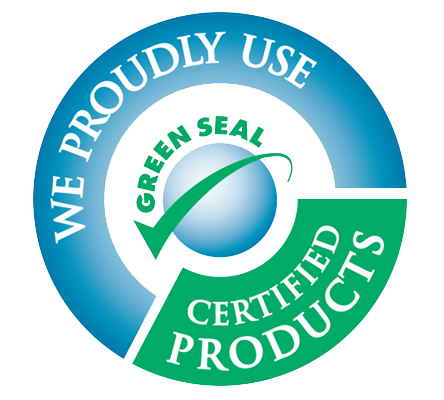 Bio Janitorial has positioned itself as the leader in “Green Cleaning Programs” through aggressive adherence to the standards established by Green Seal, Ecologo, The US EPA, and the US Green Building Council. If your goal is improved indoor environmental quality for your staff or tenants, Bio Janitorial can help. Our LEED AP (Leadership in Energy and Environmental Design Accredited Professional) can consult to help customize a “Green Cleaning Program” to your specific needs and budget. First I would like to commend your team for their extraordinary efforts in keeping our stockroom clean and disposing of the recyclable trash. My request is that we would like to have Juan back as our janitorial specialist for 2nd shift. He has been taking care of our room for quite some time and is very thorough regardless of the task, please acknowledge his dedication to keeping our department clean his positive attitude and service with a smile that makes him very valuable not only to you but to all of us here. He represents you well. On behalf of your crew that maintains our School, I am pleased to inform you that I have been extremely impressed with their work ethic and ambition to complete the daily tasks they are faced with. As I enter the campus each morning, I consistently see a clean campus that is ready to function effectively because of the important work that took place during the previous night. More importantly, your staff quickly responds to requests and they do so in an effective way.